This is the first ever feature film depicting the life of the world-famous Irish hero. Armed with only courage and conviction, Patrick's unwavering belief that good conquers evil would liberate Ireland and alter the course of history. 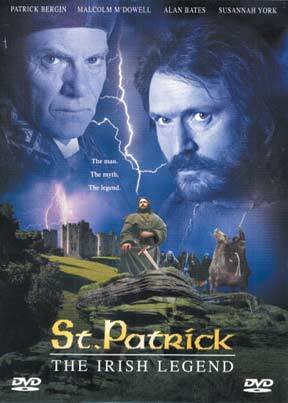 Patrick Bergin, Malcolm McDowell, Alan Bates, and Susannah York star in this lush production filmed on location in Ireland. Patrick is born in Britain, the privileged son of nobility. At the age of 16, he is kidnapped by Irish raiders and enslaved by a cruel druid chieftain. Six years later, following many vivid dreams and visions of destiny, Patrick escapes and returns home to England and a sheltered life with his loving parents Concessa and Calpornius. Troubled by new visions of the Irish people pleading to be freed from enslavement and hardship, he returns to the turbulent country intent on liberating the nation. His mission is jeopardized by British Bishop Quentin, who believes the Irish are warlike heathens, but his unwavering courage in the face of adversity ultimately forces Ireland to abruptly turn in a direction that changed history forever.